A few months ago as you probably know, Hannah joined us to help out with organising demos and packing boxes for dispatch, amongst other things. It was quite the change for us, the first member of the team to be a non-biker (GASP!). Working for a bike company was unlikely to result in her avoiding the sport completely, although this was a slightly quicker introduction than she might have expected. If someone told me a couple of years ago that I'd be into mountain biking and entered into an enduro race I'd have laughed at them. I've always tried to stay active in some way, my hobby was dancing for many years, before that it was horse riding. I still love and enjoy both very much. 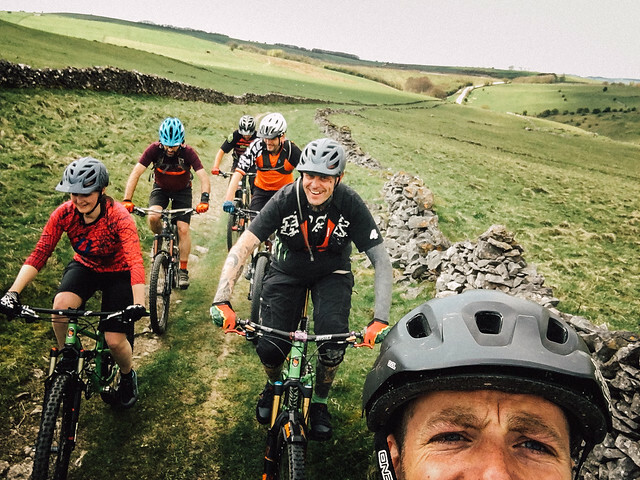 Many of my friends are interested in mountain biking, and living in Sheffield that's hardly surprising as you're never far from a trail, pump track or a secret set of dirt jumps. However, it's never been something that's crossed my mind as something I could have a go doing. Until recently. Getting the job here at Cotic has definitely opened my eyes to a whole new world and mountain biking scene. I started just a few months ago as the Demo and Dispatch Assistant. Upon starting, they warned me of a big event later in the year called the Ard Rock Enduro, you may have heard of it... I hadn't. Looking at their website I spotted Maxxis, a main sponsor for the event, were running a competition for a set of new Double Down tyres. All you had to do was send a photo of your bike with Maxxis tyres on. 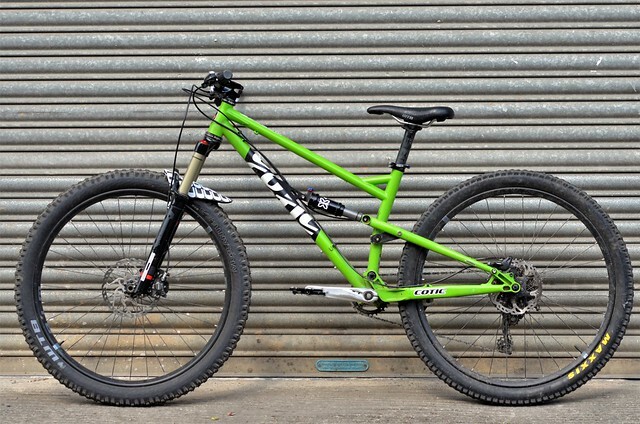 Looking around the Cotic warehouse, there, right in front of me stood a rather nice bike with Maxxis tyres. *Click*. Off my entry went, "Why not? You never win these competitions anyway" I thought to myself. How wrong I was! A few weeks later an email from Maxxis landed in my inbox, explaining that I'd won tyres, plus entry to a fully booked Ard Rock Enduro. Great. Some serious training had better start... And I'd better get a bike! Luckily, working for Cotic they could help me out. 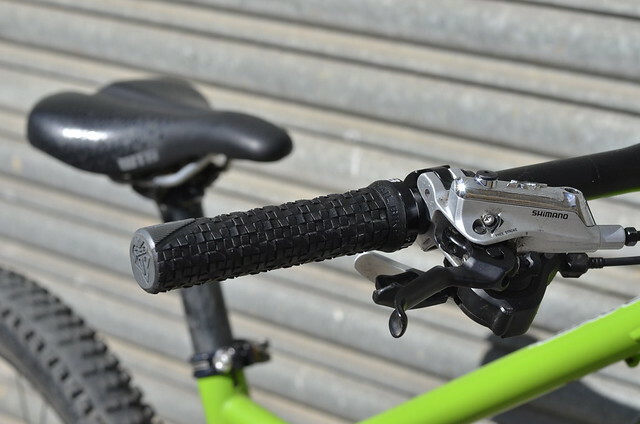 The small Flare prototype which Paul had ridden was dusted off, and the demo 'bit box' was raided [for an ex-demo 1x10 XT drivetrain, Deore brakes, some WTB rimmed wheels from Plus tyre testing, plus random assorted finishing kit - Cy] and was soon looking good. But what to wear? Flare Clothing are helping out the race team this year, and Cy told them my story, so Flare Hannah [lot's of Hannah's! - Cy] sent me some riding kit to get me going, a bit of a deal on a pair of shorts and a riding jersey. Most of the guys here ride flat pedals, and I didn't fancy trying clips so I got a pair of Women's Contact Five Ten's and bought myself some Burgtec pedals. Then WTB heard of my story and sent me a ladies Deva saddle and Padloc grips. I now had no excuse, but to get out there and do some training! My first ride I was a little slow to say the least, but I absolutely LOVED going downhill and felt such a buzz from it. I immediately understood why people loved mountain biking. The next day I must admit, I definitely felt it (especially my bum!) but it wasn't long before I was back in the saddle practising again. I started watching videos online of amazing women that mountain biked and realised it's a small, but very supportive community of women. This is definitely something I'd like to get involved with in the future. I didn't manage to get out and practice much before it was Cotic's Spring Party, and what a great party it was. Nice weather, good food and great company. I joined in on the Cotic Owners Ride Out, 45 people turned up to join us on the ride. It was a pretty big wake up call because I had my first crash. I hit my head quite hard (horse riding taught me to always buy a decent helmet, so I was thankful for my Troy Lee Designs helmet that day). I also managed to scrape and bruise my arms and legs. It wasn't a pretty sight! I also realised my legs couldn't cope on long or steep hills so I knew that was the next thing I desperately needed to work on. Almost a week later, after the cuts scabbed over and the bruises had started to heal, I hopped back on and went for a ride. By this time I'd made myself a mental list of all the things I'd learnt from the Ride Out. I'd learnt the importance of body positioning and that I needed to strengthen my legs for the hills. I've got a few local routes now that I try to do a couple of times a week. I see improvement every ride, which is so rewarding. I go further without getting out of breath, I can pedal for longer without my legs hurting and most importantly, afterwards my bum doesn't hurt anymore! My learning curve has been near vertical, but I'm starting to see the rewards and actually really quite enjoy it now." Cy- What Hannah fails to mention is that she crashed following Kelvin down some 'jazz lines' on the Golf Course descent into Bakewell which was the trickiest of the ride. Fair commitment! Hopefully you'll find it interesting following her progression. I guess Cotics are mostly bought by people who are well into the sport already, so it's interesting seeing it from the angle of someone who asks questions and is keen to learn. Maxxis are in the process of sending the tyres, but Hannah recruited mechanic Will to choose them. Another thing to remember about being a newbie - tyre choice is bewildering! Another plan in a few more weeks is to get Brand Ambassador Gareth from A Line Coaching to give Hannah some tips before she develops too many bad habits. I'm actually slightly jealous of this. The hardest bit of improving my riding through coaching over the last few years is stopping doing the wrongs things before making the right things second nature. Hannah will be writing a few more of these in the run up to participating at Ard Rock, and it's one of our big events of the year as we'll have a stand and the whole demo fleet for you to ride. It's a massive festival of MTB; it's ace!